What Is A Car Serpentine Belt? Fan belt, cam belt, timing belt - you’ve probably heard of all of these parts in your car - but you might never have even heard of the serpentine belt, even though it has a vital job to do. The serpentine belt, which might also be called a multi-vee, poly-vee, multi-rib or alternator drive belt, provides the power for several ancillary devices in your car’s engine. These include the alternator, water pump, air pump, power steering pump, and the compressor which works the air conditioning. So you can see already that it’s a bit of a ‘jack of all trades’ part, which has several jobs to perform. And as you might expect, if it fails, it can lead to multiple problems. The principle behind having a single belt to power several components is, on the face of it, pretty sound. But it does mean that its failure can lead to several important moving parts becoming inoperable. 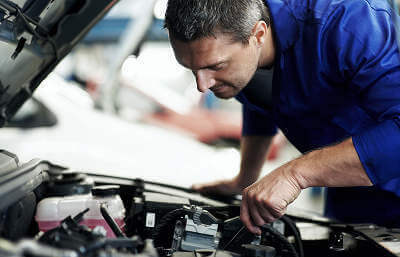 In addition, some engines may stop running if the serpentine belt breaks, as a kind of self-preservation mechanism, especially in cases where the water pump is one of those parts which it drives - as the loss of water supply can quickly lead not just to overheating, but to terminal internal damage. What Is A Serpentine Belt - And Why Does My Car Have One? Essentially, it simplifies the engine’s construction. Whereas many of the parts which it drives could be powered by separate belts, using a single belt frees up space under the bonnet, and makes the engine more compact than it would be if each of the systems a serpentine belt powers each had one of their own. As it’s vital that the belt stays as tight as possible, it will have a separate belt tensioner for the purpose, which may work either by being spring-loaded, hydraulically, or be capable of being manually adjusted. Will I Know If My Car’s Serpentine Belt Is About To Fail? Yes, you will be likely to hear a whining noise from under the bonnet while the engine is running. This means that the belt is losing its tension, and so is no longer up to all the vital work it has to do. This loss of tension is really only to be expected in view of the hugely varying temperatures which are encountered under your car’s bonnet, which mean that even the toughest rubber - of which all serpentine belts are made - will eventually start to soften. But don’t be too alarmed - a total serpentine belt failure is rare, and each belt should, under normal conditions, last between 60,000 and 100,000 miles (100,000-160,000 kilometres) before it needs to be replaced. If you’re mechanically minded yourself, and know where to look, you can check the condition of your serpentine belt visually. Look out for any fraying, cracking or other signs of damage, as these could mean that the belt is on its way out and the need for serpentine belt replacement is imminent. Because the belt is ribbed, one of the first signs that your serpentine belt is getting near to needing replacement could be that one of these either becomes misshapen or wears down completely. And should it reach this stage, you should also get the earlier-mentioned whining noises as a signal that all is not right. How Long Should A Serpentine Belt Replacement Take? The job is usually completed in two to three hours. As the cost of the labour involved will form the majority of what you have to pay for serpentine belt replacement, you may find that the hourly labour rate charged by your chosen garage is the biggest influencer of the final amount you’ll pay. On a scale of one to 10, one website rates replacing a serpentine belt as a four. So it isn’t the most complicated of jobs, and will be within the capability of any good mechanic. However, as good all-round access to the front and underside of the engine is needed, it’s best done in a properly-equipped workshop. So if you don’t happen to have access to one, you’re best off entrusting the job to someone who has. One other complicating factor is that the route taken by a serpentine belt between the various drives which it links can vary between car makes, with some being more complex than others. Does A Serpentine Belt Need Any Ongoing Checks/Maintenance? No, it shouldn’t, because the set-up of springs and pulleys on which it’s mounted should ensure that, while the belt is in good order, it will continue to work properly. But as ever, there’s a warning attached - should your car be approaching the mileage range mentioned above, or is reaching five years old, you might be wise to have it looked at by a trusted mechanic. If, however, your serpentine belt shows any signs of wear along the lines of those mentioned earlier but your car hasn’t covered the mileage to suggest it might be close to needing replacement, it could be that the serpentine belt tensioner itself needs to be examined. The serpentine belt can crack, and ultimately fail, but provided you take the precaution of carrying out serpentine belt replacement using one of the right size, this should only be a problem if you try to extend its life beyond that recommended by your car’s manufacturer. The problems which can arise from a faulty or failing serpentine belt can vary from the mildly inconvenient (loss of power to air conditioning and heating systems) to the near-catastrophic (water pump failure leading to engine overheating). Yes, ensuring that your car’s serpentine belt, or alternator drive belt, is replaced on time is another job which you need to ensure is carried out at the recommended intervals. But you should be guided by the recommendation in your car’s manual, or otherwise, be able to find out the recommended serpentine belt replacement interval by contacting your local dealer or looking on your manufacturer’s website. You can arm yourself against the worst consequences of serpentine belt failure by registering in good time as a MyCarNeedsA.com user. Once this has been done - it takes just a few minutes - you can then post requests for quotes for all kinds of repair and replacement jobs on your car in good time for them to be done at the right intervals. Keep your car running smoothly by ensuring that you know when serpentine belt replacement is due. Then be sure to get your serpentine belt replacement cost quotes in good time by posting your request on MyCarNeedsA.com. You can then be sure of finding a garage to carry out the work at a time and for a price which suits you.